Clean Cubes are attractive, disposable trash and recycle bins. 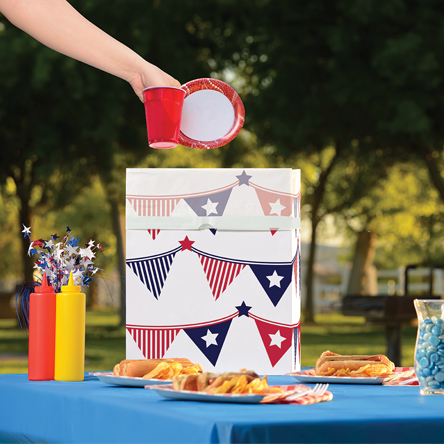 Their instant setup and easy cleanup make them great for parties, events, and many other uses. 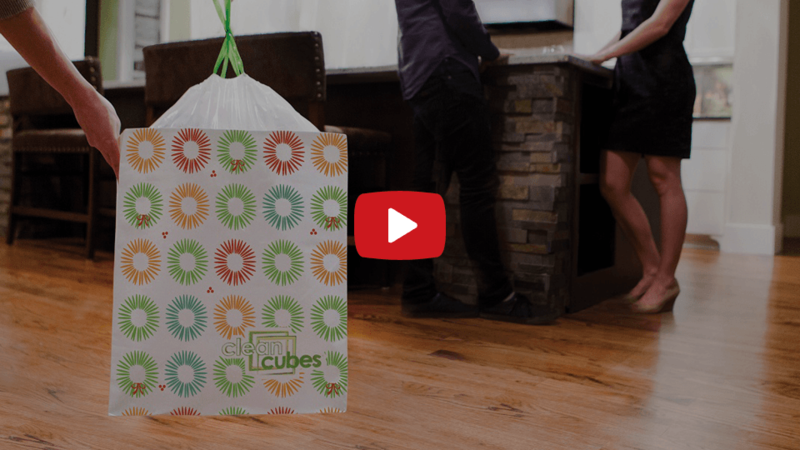 Clean Cubes are made from 50% recycled paper! 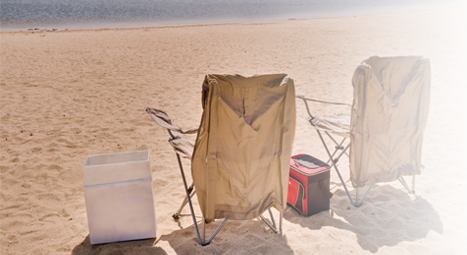 Whether for parties, picnics, camping, boats, cars, or any number of uses, Clean Cubes are a great solution anytime you could use extra trash or recycling bins. 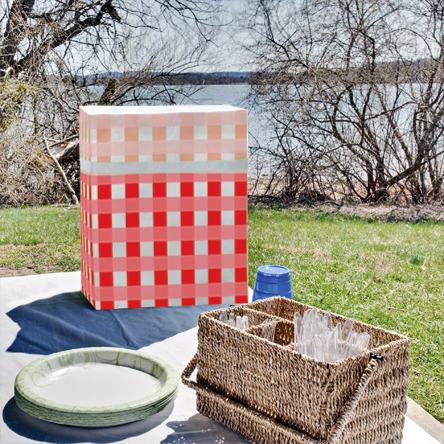 Clean Cubes provide opportunities to recycle or throw away trash when such receptacles are lacking (such as during cookouts, picnics, or on boats). All payment methods are SSL Secured, via PayPal servers or Stripe.com servers. Boat Trash Can - Clean Cubes Mini: A Convenient Solution for Keeping Your Boat Shipshape Dorm Room Trash Can - Clean Cubes: Bring Style to Dorm Life Halloween Trash Cans - Clean Cubes: Turn Up Your Spooky Party Theme! 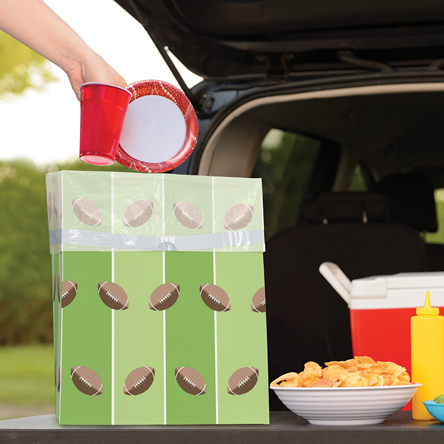 Tailgating Trash Can - Clean Cubes: The Cleanup Solution for Game Day July 4th Trash Can - Celebrate Your Independence with Clean Cubes! I used these for a birthday party two days ago. Cleanup in the morning was SOOO much easier! I put one by the bar and one by the food, and there was barely any "debris" left on tables, surfaces etc.